Author: Aldiss, Brian Set In . . . This is Aldiss’ response to Mary Shelley’s Frankenstein, available for the first time in eBook. When Joe Bodenland is suddenly transported back in time to the year 1816, his first reaction is of eager curiosity rather than distress. Certainly the Switzerland in which he finds himself, with its charming country inns, breathtaking landscapes and gentle, unmechanised pace of life, is infinitely preferable to the America of 2020 where the games of politicians threaten total annihilation. But after meeting the brooding young Victor Frankenstein, Joe realises that this world is more complex than the one he left behind. Is Frankenstein real, or are both Joe and he living out fictional lives? 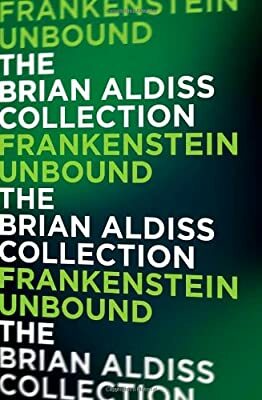 BRIAN SAYS: Developed as a tribute to Mary Shelley’s work, following the writing of Billion Year Spree, with its proposal, since widely adopted, that Frankenstein is the first seminal work to which the label “SF” can be logically attached. Frankenstein makes a female monster to accompany the male; Bodenland, lost from our time, hunts down first Frankenstein and then the monsters, becoming monstrous himself in the process.